Front cover of print edition. 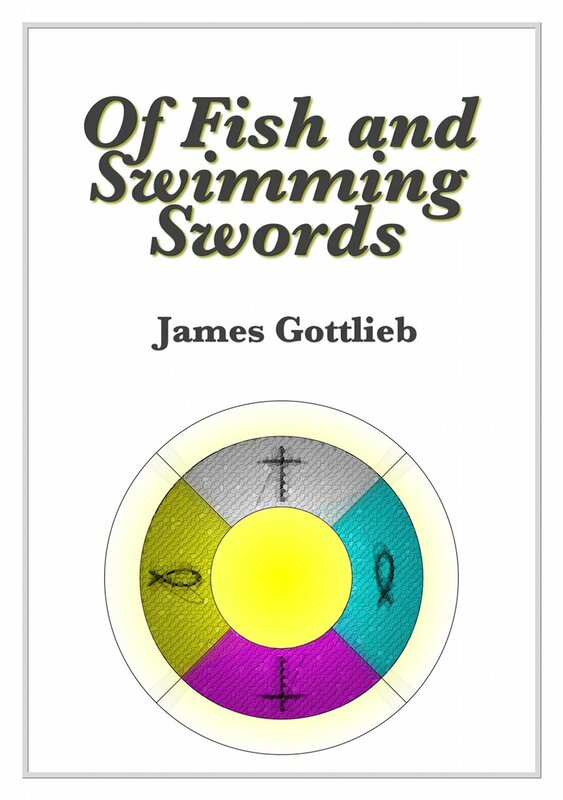 I've had the e-book edition of my novel, Of Fish and Swimming Swords, available for Kindle and Smashwords for two years. Now, I have a print edition. You can order a print copy from CreateSpace. Use the discount code XMXXKGKU to get 25% off. The print cover is different from the digital, but I still tried to put together a cover that was somewhat connected to the novel. The digital cover reflects the role of fours and a virtual world tree. In the case of the print edition, the artifacts resemble meshing gears, cycles enmeshed with cycles, and discarded materials half buried in the sand, similar to the layers of conspiracy in the story feeding off of each other and only half emerging from the text. The next step is to match up the print and digital editions on Amazon so that you can get a copy of the digital edition when you buy a copy of the print through Amazon's Kindle Matchbook program. Last week, I talked about the basic model I'm considering for managing static web content in a way that lets us find it based on when we looked at it. The idea is that if I want to cite something, I should be able to point at what I'm citing and know that someone else following my citations will see the same thing I did. 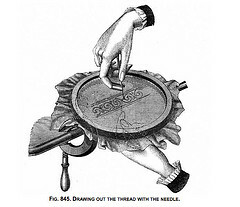 Today, I want to explore what it means for something to be citable. I come from the sciences, where citation is a shorthand for bringing in a body of work that you don't want to reproduce in your text. It's like linking in a library in a program. You're asserting that something is important to your argument and anyone can find out why they should believe it by following the citation. You don't have to explain the reasoning behind what you're referencing. If you use citations to give shout outs to people in your field, then you don't need what I'm thinking about. Readers understand that these citations are to remind them about the other people and their body of work, not the particular passage pointed to in the citation. The details aren't important enough to look up. I'm interested in the citations that people need to follow. I'll say right off that I don't know how to create a great book cover. 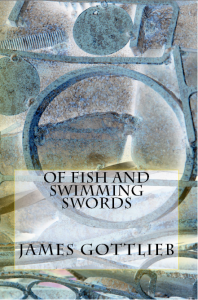 What I want to explore in this post is my thinking behind the evolving cover for my first novel, Of Fish and Swimming Swords. When self-publishing, you have to provide covers for each of the formats you're publishing. If an electronic edition, you'll need the equivalent of a front cover. If going with a POD edition, you'll need the front, spine, and back of the cover. Usually, you want the electronic cover to be a version of the POD cover. For my covers, I'm using Inkscape for vector drawing and the GIMP for final composition and effects. Both are free, open source applications that have versions for Microsoft Windows, OS X, and most UNIX/Linux distributions. My first novel is a queer, science fiction piece that I wrote for my thesis. I've had it with a publisher for almost two years now and I haven't heard anything back other than that the editor liked what he saw. Given how short the shelf life is for paper books, I've been thinking about self publishing the novel electronically instead of waiting for a publisher to go through the year or two process from acceptance to market, only to have the book off the market in a few weeks. I may add a POD version if I make enough from the ebook to pay for the small ($39) setup fee that Amazon/CreateSpace charges for improved royalties. Joe Konrath is a big proponent of self-publishing. Some of his posts read like a late night infomercial, but they are still helpful in getting a sense of what's happening in the market. A good balance is the Writer Beware section of the SFWA website. So why would I choose to do self-publishing if I've been through an MA program in creative writing, I know that self-publishing doesn't give me professional credit, and that it's probably a matter of time before I either get my novel accepted or I give up and write a new novel? If I can't find an editor who thinks my novel is worth a few thousand dollars investment, then what makes me think my novel is good enough to sell for $0.99 or $2.99? Isn't this dangerously close to vanity publishing?